A Trump administration policy changes how the Bureau of Land Management conducts environmental review and public comment for oil and gas leases. It could affect the development of 3,000 acres recently leased near Holbrook for helium exploration. KNAU’s Ryan Heinsius reports. The BLM has leased 3,000 acres next to Petrified Forest National Park in eastern Arizona to Desert Mountain Energy for possible helium development. The Canadian company has leased nearly 40,000 acres of state and federal land in the area. The directive instructs the BLM not to conduct public comment or environmental review before land is leased. The agency says the policy shift makes the process more efficient by not duplicating work. "If the lease holders actually decide to do anything on the land as far as drilling and such, they still have to submit an application for that. And that will still require environmental analysis, and that still is going to have public comment period associated with it of at least 30 days," says BLM spokesperson Adam Eggers. Environmental groups, however, say the policy chips away at crucial protections. "The purpose of the law was, and is, to look before you leap. To evaluate and understand the impacts before the federal government commits resources and decisions. And this new policy manifesting here in northern Arizona is really turning that principle on its head," says Taylor McKinnon, public lands campaigner for the Center for Biological Diversity. McKinnon says possible acid fracking used to extract helium could harm local waterways and the Coconino Aquifer below. 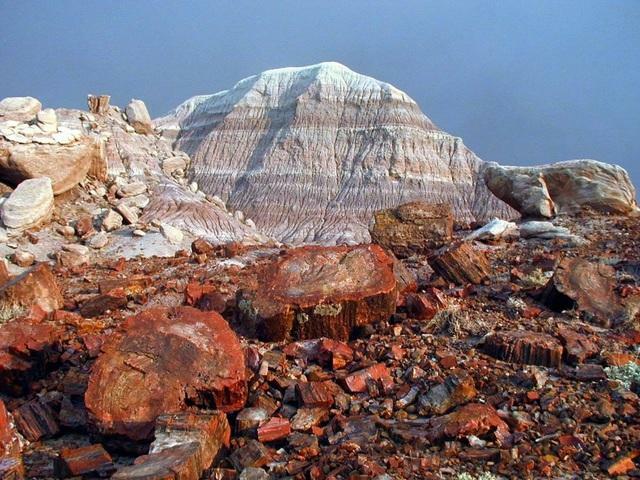 In addition, the BLM leases are adjacent to Petrified Forest National Park, and conservationists worry drilling could impact endangered animals in the Holbrook Basin. As wildfires choke California and other Western states, the Trump administration pledged Thursday to work more closely with state and local officials to prevent wildfires from ever starting. The Trump administration says it may pick a new Western headquarters for the nation's largest land management agency in the next six to eight months.